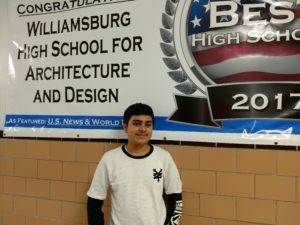 Below, Tahmidul provides student correspondent, Antonio Perez, with some thoughts about WHSAD and why he believes he was nominated. My main goal in WHSAD is to obtain basic skills in AutoCAD and Rhino. In just the time since freshman year I personally feel as if I’ve grown not just in my knowledge but also in my experience. Architecture plays a big role in my life, not just in class but in a way it also defines my character. So for me to have the opportunity to learn more and expand on my already strong and wide array of architectural knowledge is a blessing. The community is what I believe makes WHSAD such a unique and special learning environment. The community in WHSAD is so diverse and yet in a peculiar way we all feel like a family. Each student is different and unique in his or her own way whether it comes to how they operate in school or what their character is, yet we manage to all feel united. You see a lot of people who are working hard and have their own skills. This is where teachers play an important role. Due to the fact that the school is like a family, teachers and students really get to become more acquainted with each other and develop friendships. Teachers offer a welcoming environment that makes students want to learn and I believe that’s very important. Students aren’t afraid to participate or raise their hands as they all feel not only welcomed but appreciated and acknowledged. I believe I was personally chosen because of the fact that I work so hard to achieve my goals. I don’t give up or quit when I’m confused, and I’ll do all I can to solve the problem or possibly even work around it. Just as I will work hard to ensure that I overcome problems that I face, I will also work to ensure that my peers are not confused. Any measures I must take to guarantee that my peers are on the right track will be taken. Earth science is my favorite because I love that we get to learn about the Earth. Learning about the Earth is so interesting to me because of the fact that we live on it, examining and learning why and things happen in the Earth is so fascinating. Also I like Algebra II because I believe it is essential that we learn about basic math skills. After graduation, I aspire to attend medical school because many members of family are doctors. Ever since I was young I was inspired by my family and their stories. I think it is important that my family legacy be passed on generation to generation, and that is why I want to follow in my family’s footsteps and become a doctor. Through extracurriculars that WHSAD offers such as Architecture Club, I’m given the amazing opportunity to strengthen my knowledge in the architectural field. Being able to learn how to work on new and prestigious programs such as Revit or Rhino is an experience unlike any other. Not only are students pushed to really test our knowledge and to learn more, but we are pushed to search deeper for answers, looking further beyond the simple answer and actually searching for the answer within. I also participate in community service that WHSAD offers. I personally believe that helping the community back is such an amazing and beautiful thing to do. Whether it’s cleaning garbage off the street, helping children, or assisting local police officers, participating in community service is so pleasing because you know that you’re working to make the community a better place, not just for yourself but also for the future of society. WHSAD offers such a unique experience unlike any other high school. Freshman year, students are offered a plethora of programs and opportunities to not only learn more about the architectural/art field but also to prepare themselves for their future beyond WHSAD, even beyond college. 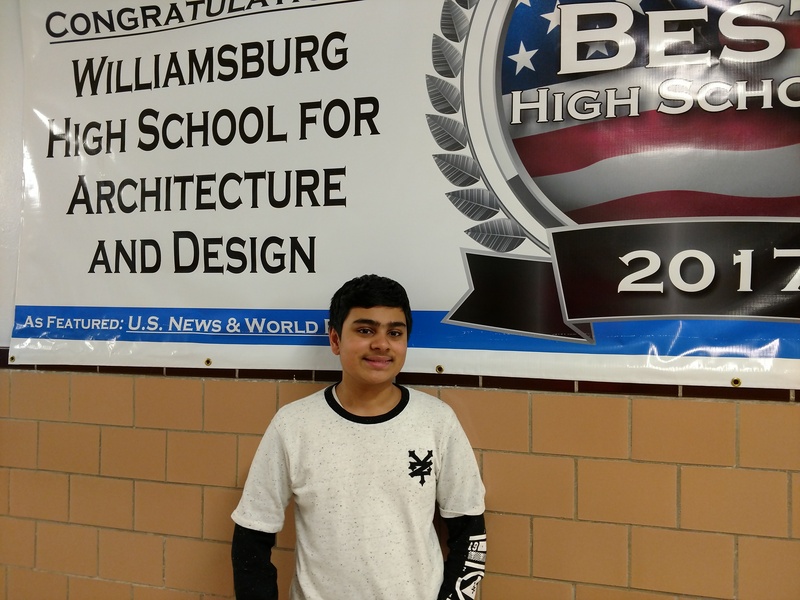 WHSAD has not only helped me prepare for my future in the architectural field, but also has helped me develop skills that can not be taught everywhere else. That is why I couldn’t more grateful for WHSAD.